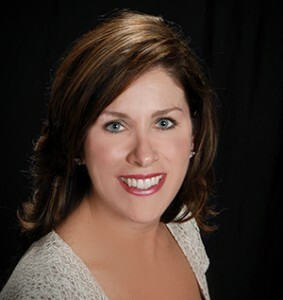 Margaret Suanne Bone (b. Margaret Suanne Bone, September 5, 1974) is the executive director of the Tennessee Association of Criminal Defense Lawyers (TACDL). Suanne Bone is currently in her third year with the organization. Margaret Suanne Bone is a member of the First Presbyterian Church located in Lebanon, Tenn. She regularly provides assistance as a greeter and pianist. Suanne Bone also played an important role in a Habitat for Humanity build, which was a volunteer project led by the church. In 2013, she became a member of the board of deacons. Additionally, she was chosen as the treasurer of the deacons. Her involvement with the church includes participation in the Cedar Forest Ministry at the Cedars of Lebanon State Park, an event hosted by the church each summer for the last 30 years. Margaret Suanne Bone also holds a number of memberships with volunteer groups in Lebanon, including a spot on the fellowship committee of the Lebanon Breakfast Rotary Club. This committee was created to offer social opportunities for members, their families and close friends. Suanne Bone just finished a two-year stint on the tourism committee of the Lebanon/Wilson County Chamber of Commerce. Margaret Suanne Bone enjoys spending precious moments with family in her spare time, especially her many nieces and nephews. After her brother was diagnosed with Crohn’s disease, she dedicated herself to fundraising efforts for the Crohn’s and Colitis Foundation of America. Since his diagnosis, she has completed marathons to raise awareness for this important cause. Before her tenure with TACDL, Margaret Suanne Bone worked for a number of established organizations. She was a law clerk for two different Nashville firms from 2001-2003. To attain further knowledge in the legal field, she attended Nashville School of Law and achieved a degree in 2003. Suanne Bone also played a vital role in the office of Governor Phil Bredesen as the legislative liaison for the Department of Tourist Development from 2007-2010. TACDL gives full support to Tennessee criminal defense lawyers as they work to serve the best interests of their clients. The mission of the association is to advocate for effective criminal justice during the whole legal process. As the association’s executive director, Margaret Suanne Bone furthers their efforts by planning a series of seminars, group meetings and training sessions for the active membership. Suanne Bone also serves as communication liaison, offering information to all involved parties including the committee chairs, the executive committee and the board of directors. As directed by the board, Margaret Suanne Bone reviews all legal documents and contracts to ensure completion and accuracy. She is also one of only two lobbyists registered with TACDL.